Secret Keywords is a vinyl and digital Techno label based in Berlin, founded by Gianmarco Silvetti and Natascia Parisella. 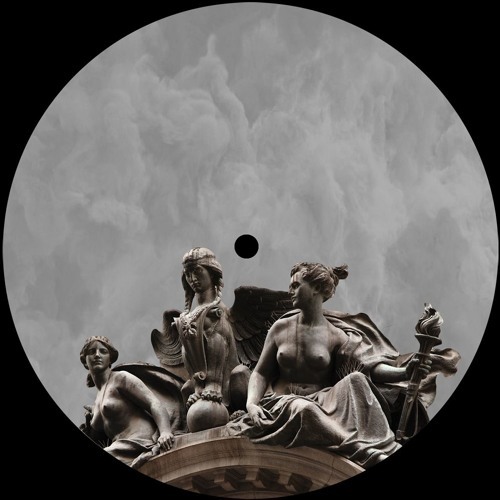 Exploring new sounds is a focus for the project, where new experimental shades of Techno have lead to featuring artists such as Conrad Van Orton. The debut vinyl only release sees the return of Michal Jablonski following a previous contribution on the „Secret Wander 001“ compilation. Boasting a solid back catalogue, Michal lists labels like Animal Farm, Sonntag Morgen, Injected Poison, Counter Pulse and Trau-ma to his name, stirring up well deserved fanfare. There are two remixes from Argentinian duo YYYY and AWB (Auto White Balance) in France. Brothers Pedro Yaya & Mate Yaya aka YYYY are from the Techno melting pot of Buenos Aires. Rising through the ranks, their music can be found on such labels as Weekend Circuit, Evod and Planet Rhythm, or they can be found executing podcasts for Slam Radio, Invite’s Choice and PoleGroup for example. AWB is one the respected Taapion label bosses alongside Shlømo and PVNV. Based in Paris, his magic touch is in high regard as Adrien releases outside his own imprint with the likes of Soma, Raw Imprint and Blocaus for example. The opening track „In Without“ acts as an ambient intro. Gritty and experimental sounds are at play with an aggressive undertone setting the scene of things to come. „Left Object“ is a stunning Techno piece combining groove and atmospherics perfectly. A hard hitting stuttered kick serves as a driving force beneath bellowing, dreamy synths that are full of emotion and power. Third of five is title track „Chimaera“ that begins impatiently and moody with a pounding beat. Rocking a four-four this time around, the lead sounds are abstract and spooky as it has a strong, industrial feel running through its spine. The first of two remixes is from YYYY of Chimaera that has driving and dark aesthetic from the word go. Energy slowly develops as the tension builds, but the focus is on the electrified lead that morphs and progresses hooking you in. AWB opts for a remix of Left Object as the last entry to the EP. A broken beat sets up an abstract approach, but where the lush sonic textures reign supreme. Full of musicality and depth, elegant synths provide a slightly gothic style to the sensational and hypnotic crescendo.